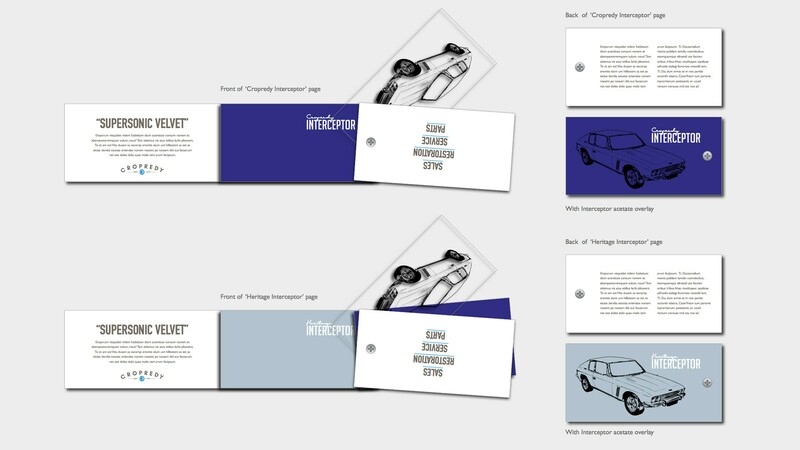 "You have transformed the way we look and feel about ourselves here at Cropredy Bridge Cars." In the late 60’s and 70’s the Jensen Interceptor was one of the coolest cars on the planet. Owned by many celebrities from Sir Matt Busby to Henry Cooper and Eric Morecombe it soon became an icon, ceasing production in 1976. 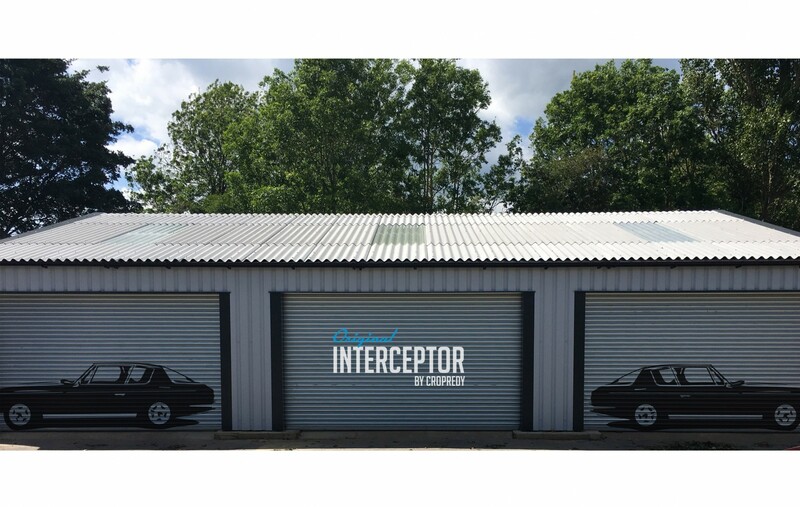 Combining Italian styling with American styling and British build, the Interceptor has been undervalued for some years but is hotly tipped as the classic to buy. Since 1972, Cropredy Bridge has been, servicing and restoring classic Jensens. 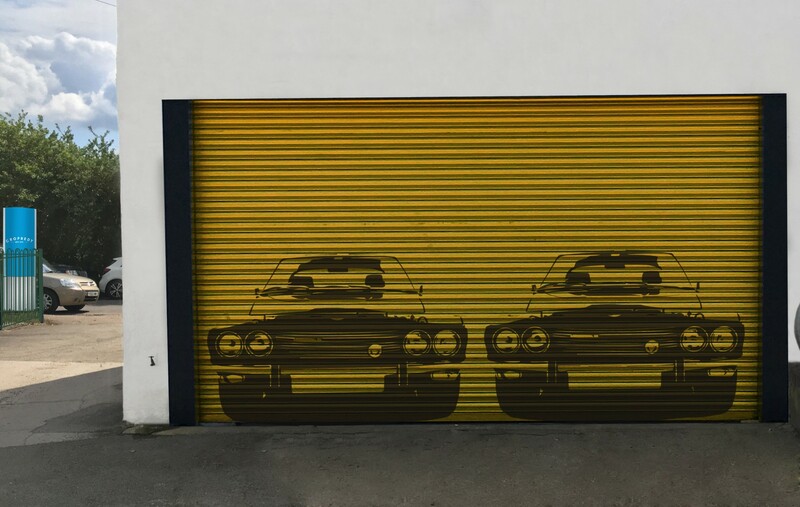 Now under new ownership, the company needed to focus and clarify it’s service and product offers, clearly communicating where it is now and where it is going, whilst retaining its heritage and values. 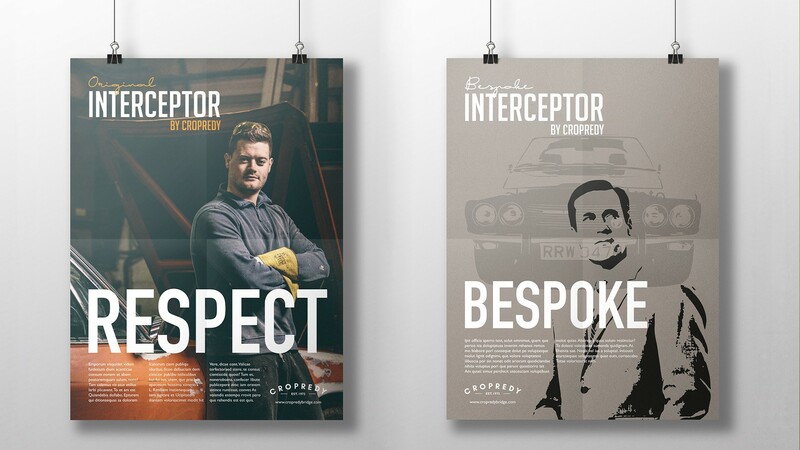 The Interceptor product brand is now arguably stronger than the Jensen company brand, also representing 90% of Cropredy Bridge business. The Cropredy name is well recognised and respected, but the Bridge element sounding parochial and old fashioned. 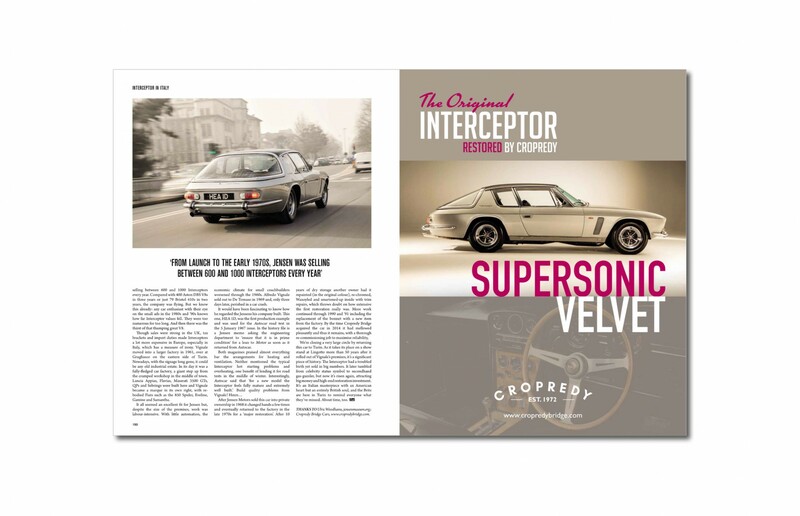 It is essential that Interceptor and Cropredy are seen to be synonymous. 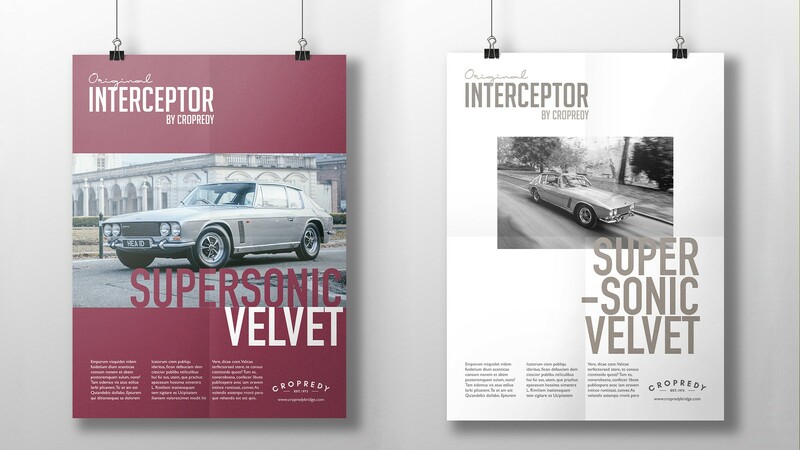 A new logo for Cropredy, in a curve reflecting the bridge and reinforcing the company’s heritage and sub brands for Interceptor, combine with nomenclature, graphics and imagery echoing the Interceptor’s illustrious past and associations.